Only $18.00 when you order 10 or more! Threads of History is a supplemental resource that provides a thematic review of AP U.S. History course content while building essential historical thinking skills. 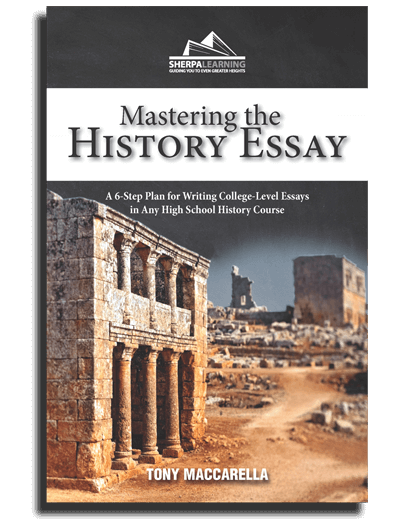 Each of the 37 lessons focuses on a specific theme in U.S. history and includes a comprehensive data table, primary or secondary source document, multiple-choice questions, short-answer questions, and essential vocab terms—all focused on the specific theme. Comprehensive data tables at the heart of each lesson help APUSH students visualize themes so they can practice making connections. New lessons on Historical Periods 1 (1491-1600) & 9 (1980-Present) provide coverage of the often-overlooked bookend periods. The new key-terms/vocab component enhances students understanding of the complex topics and themes covered in each lesson. The amount of material you need to cover in AP U.S. History is immense. Use Threads of History throughout the year to reinforce critical thinking skills and extend the topics and themes you covered (or didn't cover) in class. Or use Threads in the weeks leading up to the exam for a higher caliber of test prep. View the sample lesson for a look at how Threads of History covers the cornerstones of U. S. foreign policy: Isolationism in Europe, the Monroe Doctrine in South America, and the Open Door in Asia. The Student Edition shown here is designed to be used in class along with the new Teacher Edition, available here. Michael Henry, Ph.D., served as the Exam Leader at the AP U.S. History exam reading for 8 years, in addition to his many years as Reader and Table Leader. Dr. Henry taught AP U.S. History for over twenty years in Prince George’s County, Maryland, and has written 4 books, 6 teacher’s guides, and twenty articles.He has given dozens of professional presentations and workshops across the country and has served as a consultant to the College Board. Currently, he is serving as adjunct professor of history at Prince George’s Community College and is a member of the Organization of American Historians. He lives in College Park, MD with his wife Ann and is a die-hard fan of the Washington Nationals. Take a look at some of the projects we're currently developing.